"The Enquiry Form was simple and straight-forward to complete. I was very happy with the result. Best of all, I received a quick response and was very happy with the service I received and extremely pleased with the outcome achieved. Thankyou." "I was extremely happy and pleased with the legal representation I gained through your service. After submitting my Enquiry Form, I received a prompt reply and was overjoyed with the professional advice I received. It’s good to know my legal matter is in good hands." 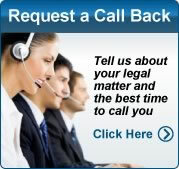 "I’m very thankful and grateful for the legal assistance I received through legaladvice.com.au. My legal dilemma was taken care of by an excellent solicitor who took care of my legal problem. I can’t thankyou enough! Thankyou so much for helping me!" "I wasn’t getting anywhere with my previous lawyer, so I went to legaladvice.com.au. and filled in a Legal Enquiry Form and was immediately put in contact with a lawyer who helped me with everything! The service was fast, discreet and professional. I am glad and relieved to have finally sorted out my legal problem."